24K Casino might be a newbie as far as online casinos go yet within a short space of time it's already crunching the numbers. 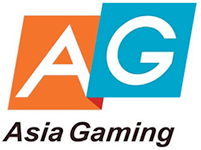 The message it sends out to all its current and prospective customers is this: "Play within a safe and secure gaming environment with opportunities for big wins whilst having fun at the same time." Operating out of Curacao, 24K Casino managed to rope in some of the most prominent software providers like Yggdrasil, Betsoft, Net Entertainment, Microgaming, Evolution Gaming, iSoftBet, World Match and plenty more. Each software houses' games are instant play that's playable on mobile phones and PC's. Clients from Europe and all over the world except the UK and United States can play a robust assortment of slot machines, table games, Live & Mobile Casinos, video poker and huge jackpots that can make you an instant millionaire. The minimum deposit for the 1st deposit bonus is 10 €. You don't need a bonus code to claim 24kcasino's first deposit bonus. 24K Casino is a new generation web casino that has an explosion of games; it gives high rollers exclusive deals, new and loyal patrons can cash in on bonuses with easy-to-clear bonus terms and its rewards program knocks it out the park making it a great site! With our great Loyalty and VIP program you will earn points that you can exchange to either freespins or fantastic prizes. 24K Casino is the cyber casino of the 21st century, it has all the elements first timers and seasoned vets are looking for. A collection of 3,000 games is no small feat, it will be an understatement to say that players aren't spoiled for choice here. Because slot games are popular especially the ones with the high-resolution visuals and bonus rounds they're the majority. Games we can't get enough of are Yak, Yeti & Roll, Narcos, Monopoly Live: Dream Catcher Edition and Dead or Alive 2. Next in line are the table games offering blackjack, roulette (American and European), craps, baccarat, Pai Gow Poker, three card poker; you name it and 24K Casino has it on offer. Video poker like Aces and Faces, All American, Deuces Wild, Double Bonus Poker and Jacks or Better list TRTPs (theoretical return to players) higher than 98% or an edge to the house of 2%. Video poker needs a bit of know-how, some luck and players must know which cards to hold. The jackpot games are linked to a network of progressives, every time a game is played a portion of the money lost goes toward the pool. This is why the jackpots keep on growing. Progressive slot and poker jackpot wins are settled immediately, which is one of the many reasons why it pays to become a 24K Casino customer. The remainder of the games may not be as popular as the above but they're a nice diversion from your regular slots or table games. Pretty much all of our games are mobile optimized. Live Casinos are taking the online gambling world by storm it's not just an old cliché but a fact. Game play is slower when compared to slots or video poker because it mimics that of a real casino environment. Thanks to advances in technology every single live game is streamed to your computer hosted by a live dealer. Players get to see the cards at the blackjack or poker table being dealt, they can talk to the dealers and they can even tip them. Safe gambling – is 24kcasino safe? Safety & Security Safety is a priority which explains why 24K Casino protects client information with SSL (secure socket layer) encryption keys. Whether it's an email address or a client's banking info; it stays behind lock and key in the casino's vault. Can players expect random spins at the slot machines? Every spin on a slots is fairly regulated by a random number generator. Further, each software house is responsible for its own games and for added transparency they hire independent firms to audit their software. Email, live chat and telephone support are the three ways clients can contact customer care at 24K Casino. The operator notifies its clients that live chat is not available for 24 hours of the day, but email and completing an online form are available full time. Live chat is convenient because it addresses issues players may have in real-time. Email support on the other hand takes a few minutes while phone support can be expensive. In general, 24K Casino’s support is very good. A FAQs (frequently asked questions section) guides tells players how to make a deposit, what to do if they experience any issues whether it's technical or how to claim a deposit bonus. The casino's staff recommends that clients go through it before they contact support. When it comes to banking, 24K Casino lists cryptocurrencies like Bitcoin, XRP, Dogecoin, Litecoin and Ethereum. Which is a win-win because the value of cryptos are sky rocketing at the moment, transaction fees are non-existent, they're not restricted to geographical regions and they're super fast. Fiat currency payments starting with credit/debit cards, e-wallets, and wire transfer top off the withdrawal section. New clients must provide their KYC documents which includes a copy of a bank statement (not older than 3 months), utility bill, driver's license, passport (preferable) or ID card. Deposits and cash outs are cleared within a space of a few hours (Bitcoin, Neteller, Skrill), credit debit cards (3 days) and wire transfer up to 7 days. Credit/debit cards are capped at $5,000 per transaction. When it comes to its weekly/monthly withdrawal restrictions the operator is quite flexible.